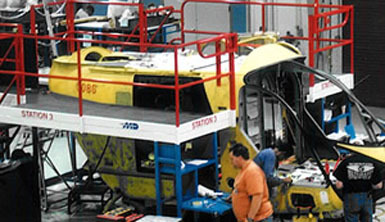 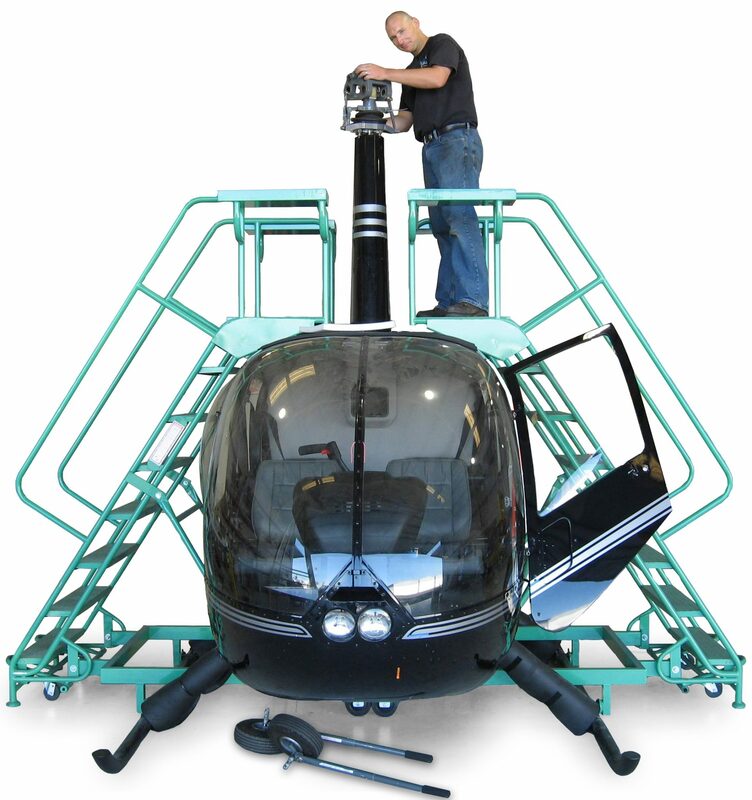 Wildeck’s Robinson helicopter stands provide aircraft maintenance professionals with access to rotors of Robinson R22, R44, and R66 models. 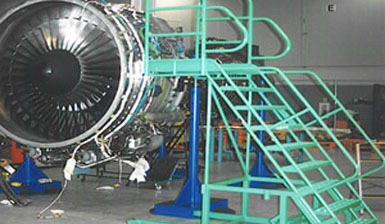 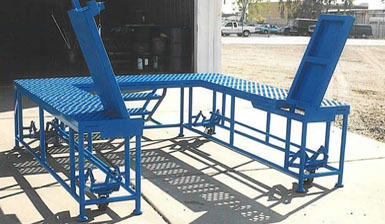 The maintenance stands roll into position on heavy-duty 5” casters, which disengage during use. 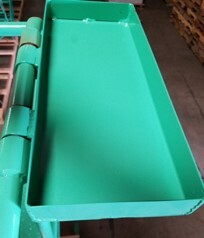 (2) Folding tool trays are provided at the working level of the platform, to reduce trips up and down the ladder. 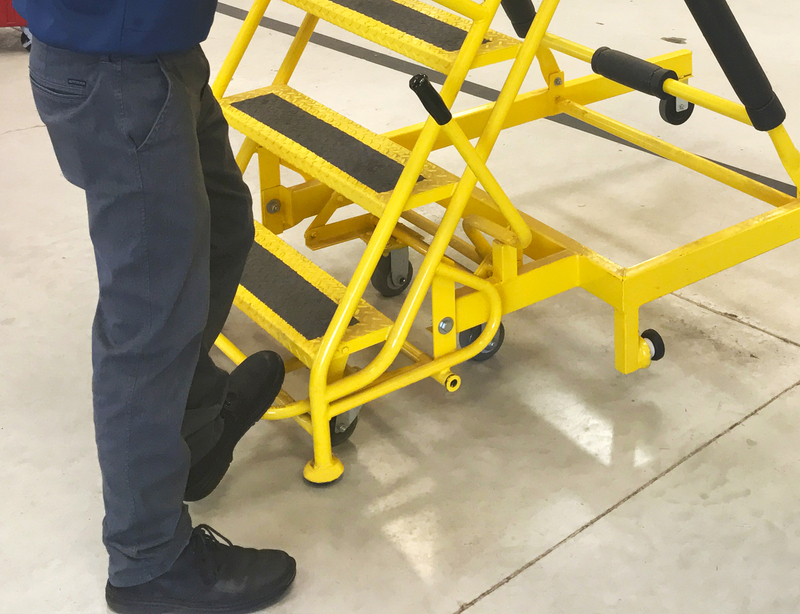 Each work stand comes equipped with Wildeck's Rolalift lifting mechanism, allowing maintenance professionals to position the platform accordingly. 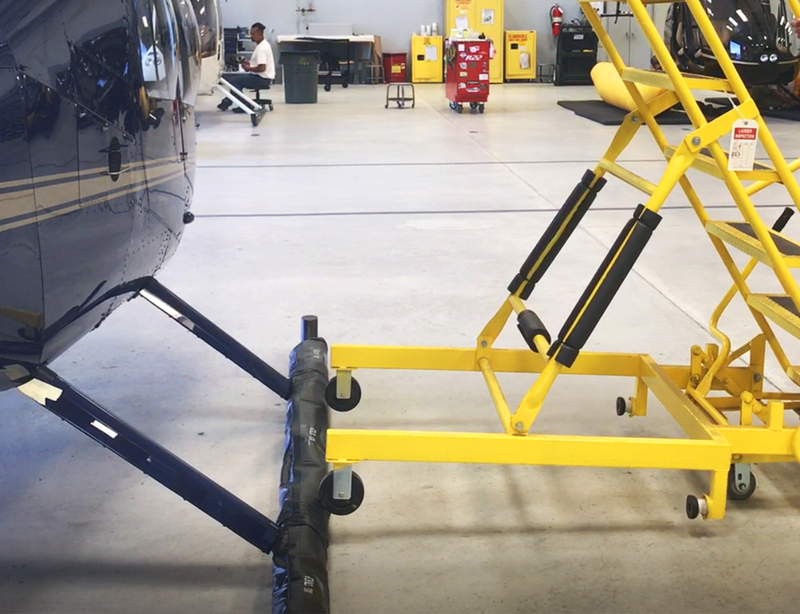 Engaging the Rolalift lifting mechanism allows the ladder base to maneuver over the helicopter skid. 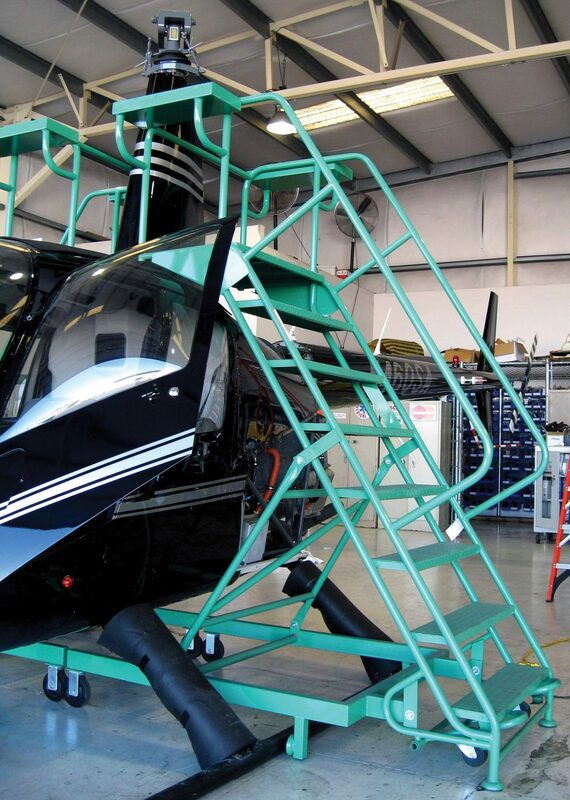 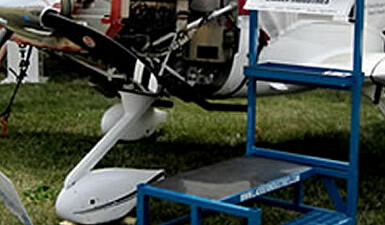 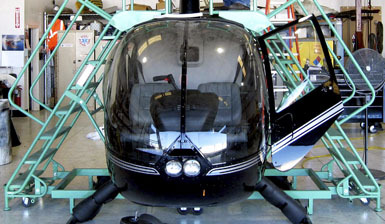 Horizontal rubber feet stop the platform at the helicopter skid. 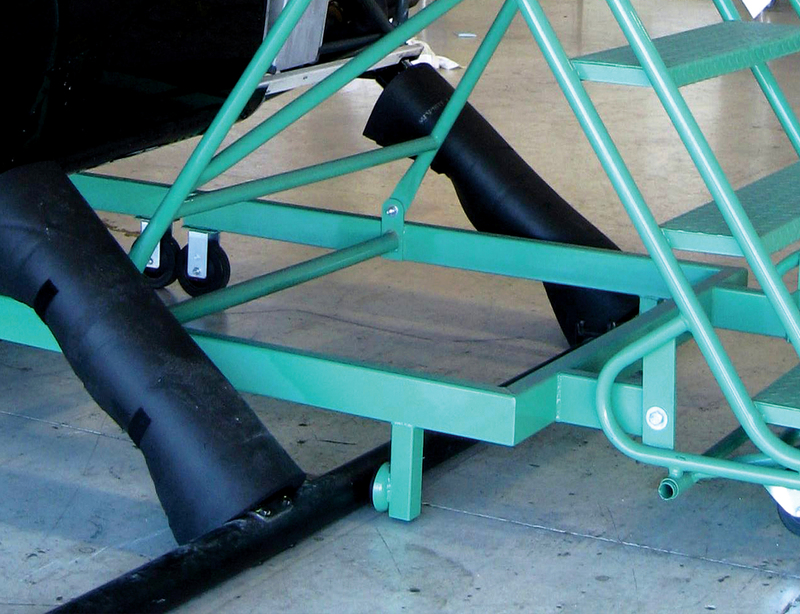 The Rolalift may then be disengaged, providing a stable work stand until project completion.